View a wild Atlantic salmon river and legendary fly-fishing pool from a postcard-worthy picnic area overlooking the Narraguagus River. A stone plaque commemorates the numerous anglers who waited patiently for their turn to cast into the pool, one of the premier salmon fishing spots in the country, perhaps even the world. 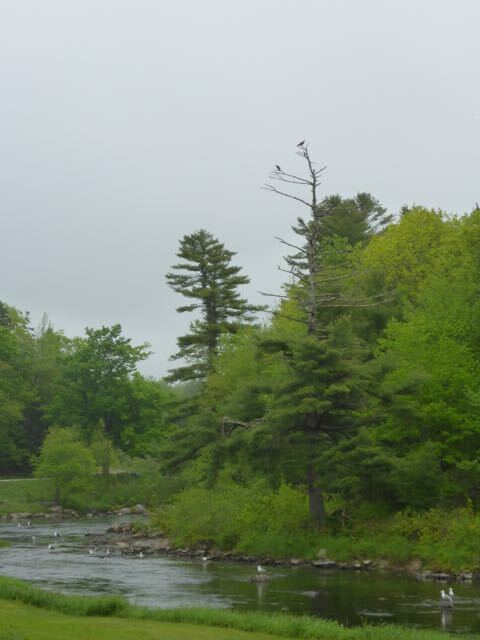 Atlantic salmon, Salmo salar, “The Leaper,” once filled the rivers of eastern Maine, including the Narraguagus. 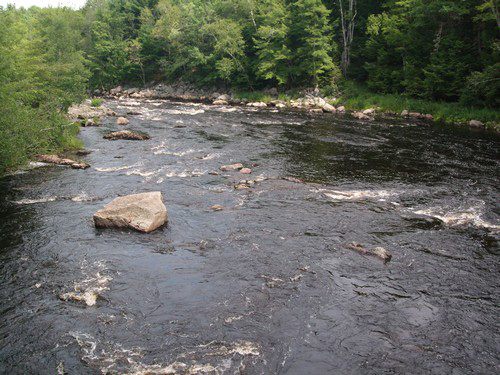 Over the centuries, dams, pollution, and fishing took their toll, forcing the Atlantic salmon in Maine’s Downeast rivers onto the Endangered Species List in 2000. 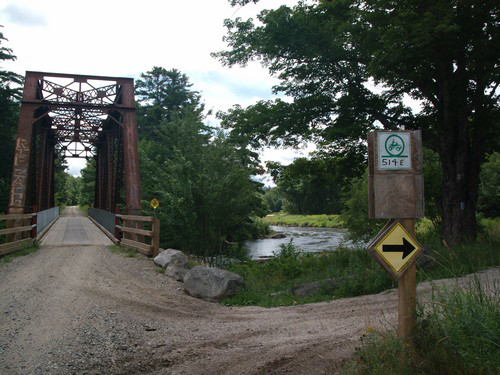 Federal and state agencies and fisheries groups continue efforts to revitalize salmon populations throughout Maine. 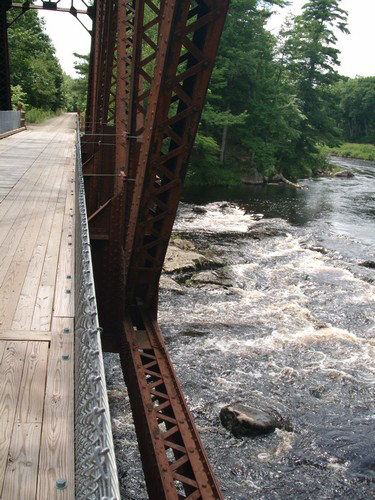 Where the Narraguagus River creates rapids as it flows beneath a rustic railroad bridge now part of the Downeast Sunrise Trail, Atlantic salmon anglers experienced some of the best fishing in the East. 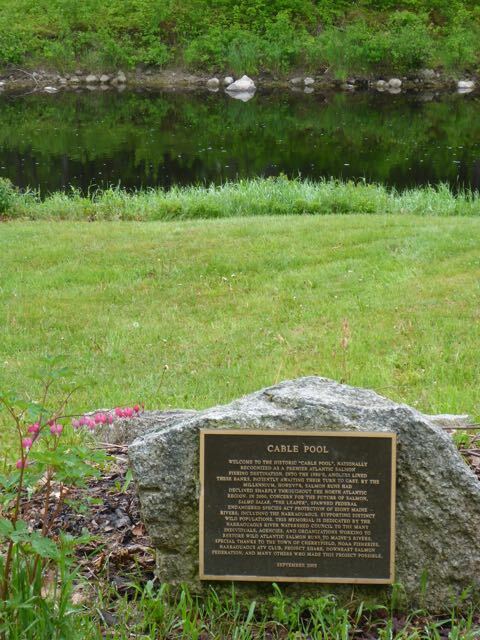 The Cable Pool was named for the cable that ran high over the water in the 1940s and 1950s. State scientific agencies used the cable to cross the river when monitoring water flows and temperature of the river. 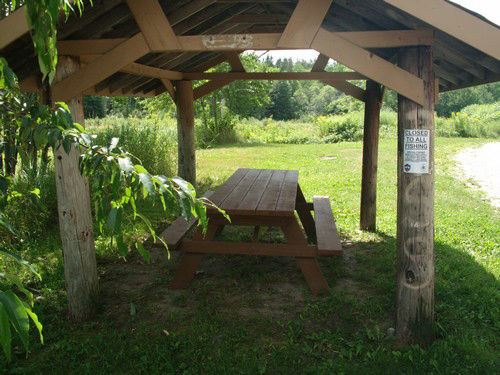 The Narraguagus River Watershed Council, towns of Cherryfield and Milbridge, Downeast Salmon Federation, Narraguagus ATV Club, Wild Things Landscape Design, Project SHARE, and NOAA dedicated the memorial park in 2005. The park also honors the memory of local angler Dana Bartlett. 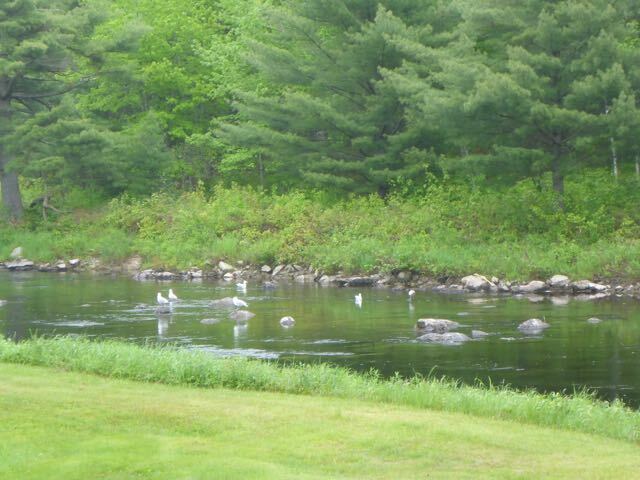 For a Century, this river has abounded in Trout and Atlantic salmon. In 1939, the run of salmon far surpassed any river in the salmon area. This sport, which is just gaining popularity in this section, was enjoyed by many fishermen in 1940…The fall run was very heavy; the fish were large; our Wardens and Guides checked many on the spawning grounds. Five thousand 4-6 inch Salmon were liberated in this river, which were received from the U. S. Hatchery…If you have never taken one of these Atlantic Salmon on a rod and reel, you missed a thrill, unsurpassed…In this cool and invigorating land of beauty, you will find almost every kind of recreation. Tired bodies and weary minds will be refreshed and energized by the activities which you will find waiting for you here….The fisherman who wants a real thrill should try casting a fly, in the waters of the Narraguagus River. 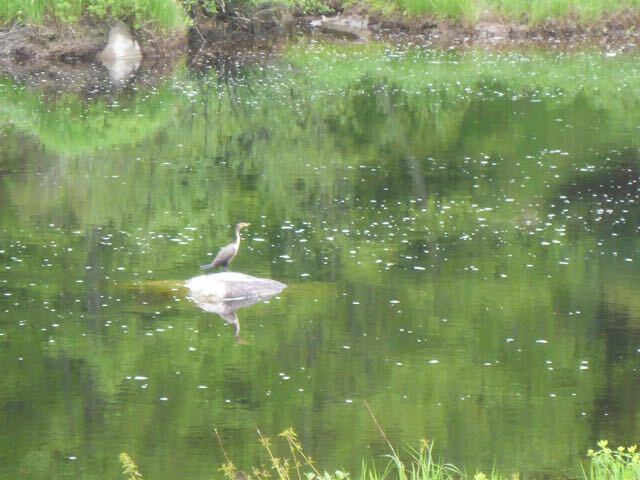 Here he may hook a beautiful Atlantic Salmon, that will give him an experience that will never be forgotten. Try fishing here once and you will spend the next Winter waiting until it’s time for you to be on the business end of a fly rod, again. 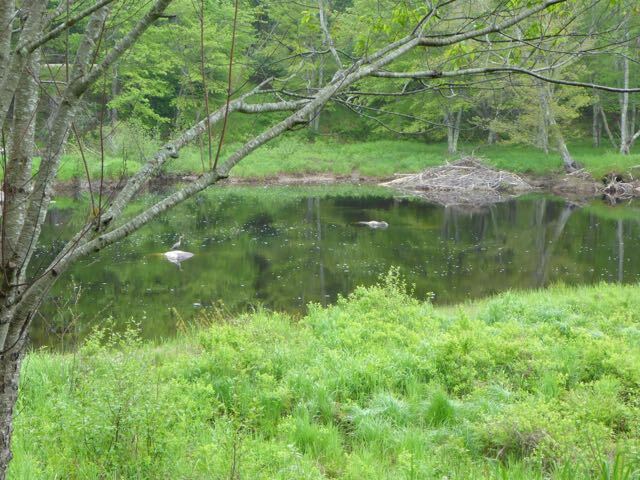 Today, the Downeast Salmon Federation and Project SHARE work with state and federal agencies to restore Atlantic salmon and other fish to the Narraguagus. View a brief tour of the park. 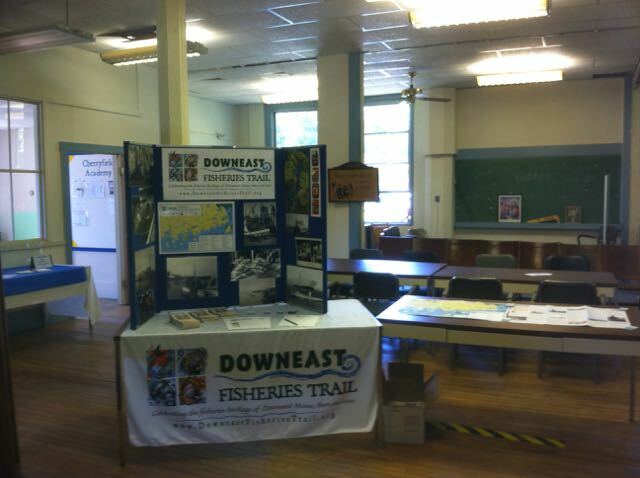 The Downeast Sunrise Trail passes by the park. Milliken, J.A. 1910. The Narraguagus Valley: Some Account of its Early Settlement and Settlers. Portland, ME: A.J. Huston. Narraguagus Fish & Game Association. Atlantic salmon fishing on the Narraguagus River. Machias: Parlin Press.